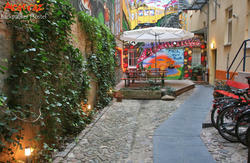 The Frosch-Hostel in central Berlin can make all your dreams come true. 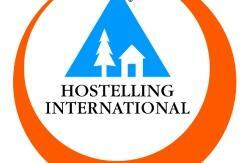 From 1st of January 2007 we started - a hostel by backpackers for backpackers. Here are the details of the Frosch-Hostel. Most centrally located in the heart of Berlin. Very close to the old town, the sights and the museums. Close to Potsdamer Platz, the Brandenburg Gate and the Reichstag. 15 Minutes to walk to Alexanderplatz and the Television tower 'Fernsehturm'. Almost all sights are within walking distance or by direct connection to the Metro U2. The Hostel is not only in the middle of Berlins Nightlife area, it is just a few metres away from the 'Mauerpark' - probably the most famous Park in berlin. All night long music and and a relaxed atmosphere. here comes the challenge... The Frosch-Hostel offers you a real delicious Breakfast for a low price. No Lockout, no Curfew. Hang out in the Reception, have Breakfast with new friends - be a part of a real travelling community. Are you ready for a new hostel experience? Are you a backpacker? We provide clean sheets and towels, all the information you need, free maps. Hot Showers for free, Internet - and of course a friendly service. 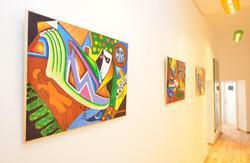 The Hostel is near the Metro station 'Schnhauser Allee' and the S-Bahn and Train station 'Gesundbrunnen'. You can arrive it via the metro U2 from Alexanderplatz in 5 minutes. Afterwards it is not dificult to find 'Schnhauser Allee'.